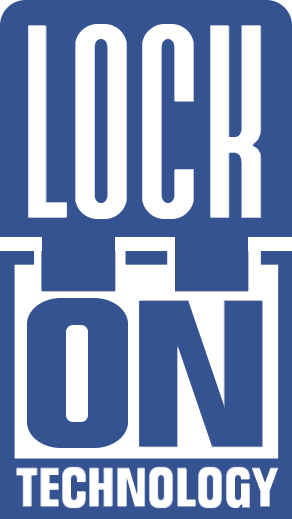 Lock-On Technology is a unique feature found on Sonic & Knuckles cartridges for the Sega Mega Drive that allowed a player to connect an older game to the cartridge's pass-through port for extended or altered gameplay. The lock-on technology was actually a way of making up for the fact that the developers could not meet the deadline for Sonic the Hedgehog 3. Originally, Sonic 3 was to be released with Knuckles as a playable character, and with all the Sonic & Knuckles levels playable (the level select screen in Sonic 3 features inaccessible Sonic & Knuckles levels and music). Time constraints forced the game to be split in two, and Sonic 3 was released while work continued on the uncompleted ones, plus Super Emeralds, and the lock-on gimmick was also added. Indeed Sonic the Hedgehog 2 had once run into similar problems, resulting in the original Hidden Palace and several other levels being removed. 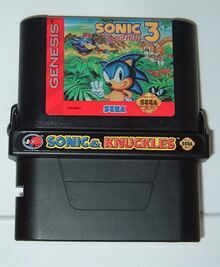 To utilize the lock-on technology the hatch on top of the Sonic & Knuckles cartridge must be flipped open and a second game connected to the pass-through port. Unlike other methods of connecting cartridges (for example, in the Game Genie cheat device), Lock-On works by using special circuitry that combines multiple ROM chips into a single address space, depending on which game is inserted into the cartridge's slot. The result is that the console thinks that one big cartridge is plugged in. Devices such as the Game Genie worked in an entirely different way, running first the device's internal program, then running the inserted cartridge separately. Lock-On technology made Sonic & Knuckles 'the only backwards-compatible game cartridge', as the advertisements of the time claimed. When Sonic 2 is connected, the cart combines the Sonic & Knuckles ROM, the Sonic 2 ROM, and a 256K ROM chip to boot into a new game entitled Knuckles in Sonic 2. This chip contains 'patch code' such as object placement data (for example, adding a 1-Up to the top of a building in the Chemical Plant Zone), Knuckles sprites and mappings, all code needed for the game to function, and some Casino Night Zone collision data. This chip alone is available in 'dumped' form; however, it is unplayable in emulators, as it is not a complete game in and of itself, being more analogous to an IPS patch. Multiple prototypes of this patch chip were released in the February 23, 2008 Proto Release. A game later titled Blue Sphere is enabled upon pressing , , and simultaneously on the No Way screen. When a non-Sonic game is plugged in, the result is a single stage of Blue Sphere, produced randomly from information in the inserted cartridge's ROM header, along with the stage's 'code' for use in the full Blue Sphere. If Locked-On with a game larger than 2 Megabytes, it will boot to Sonic & Knuckles on real hardware, as the Sonic & Knuckles cart's mapper will map the last 2MB of the locked-on ROM instead of the first 2MB. Locking-On with a game that uses a battery pack erases saved games. Most games made after Sonic & Knuckles was released are larger than 2MB and thus will not work with its lock-on feature. There are only a few games made before Sonic & Knuckles that do not work, such as Phantasy Star IV: The End of the Millennium & Super Street Fighter II: The New Challengers.